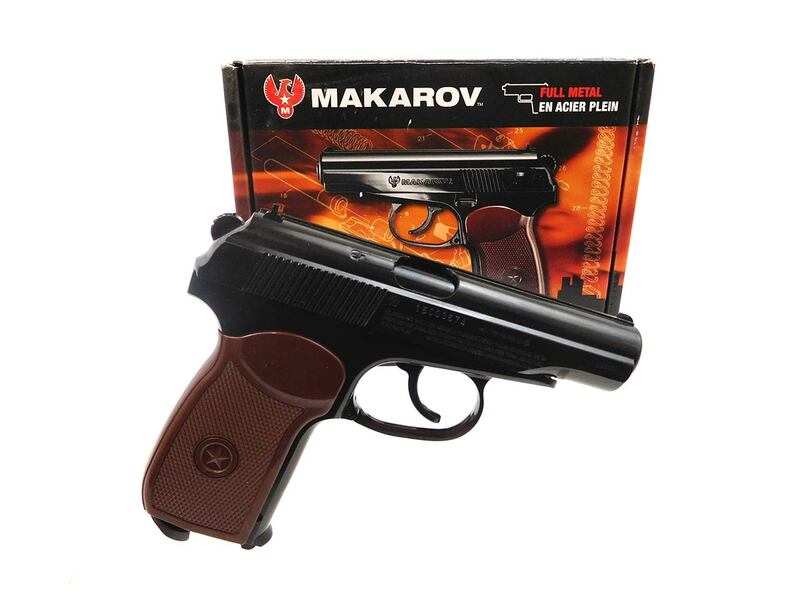 This Makarov BB gun comes in the original box. 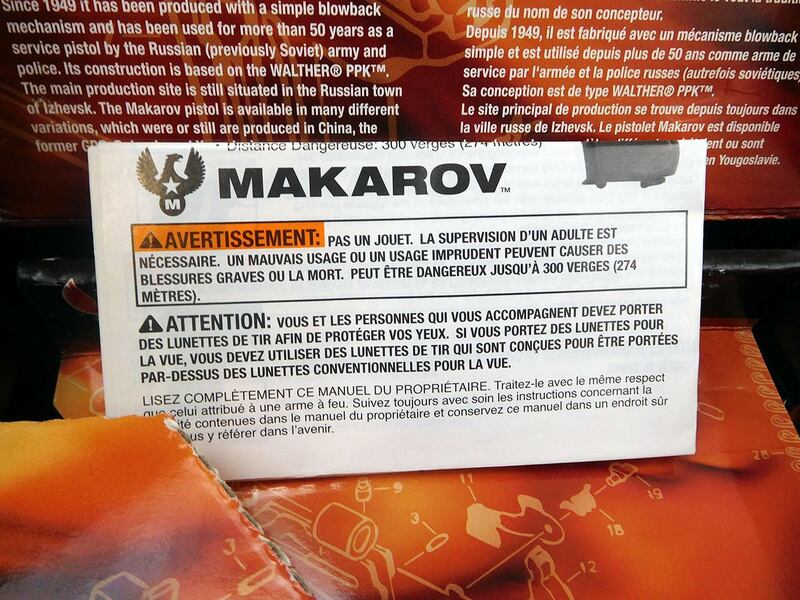 It’s a CO2 with a single action / double action system. 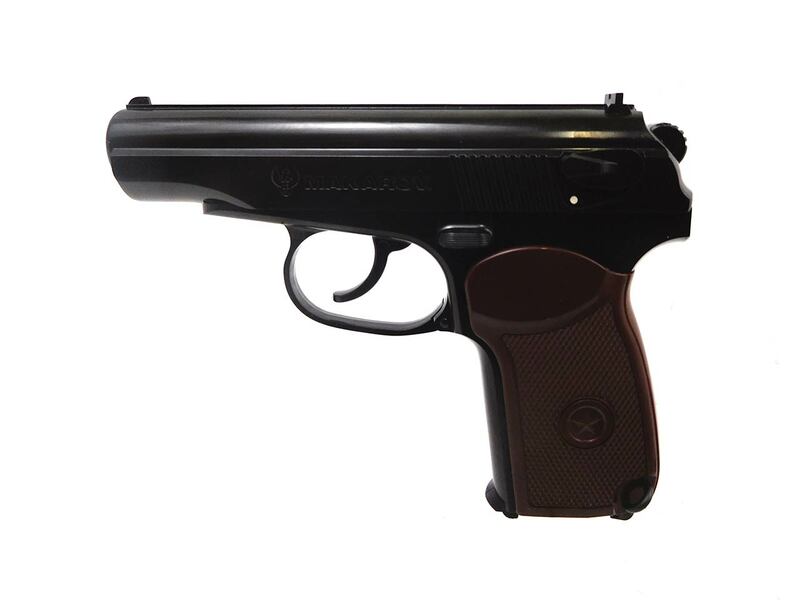 This gun is a replica of the semi-auto 9mm Makarov pistol developed by Nikolai Makarov in 1948. 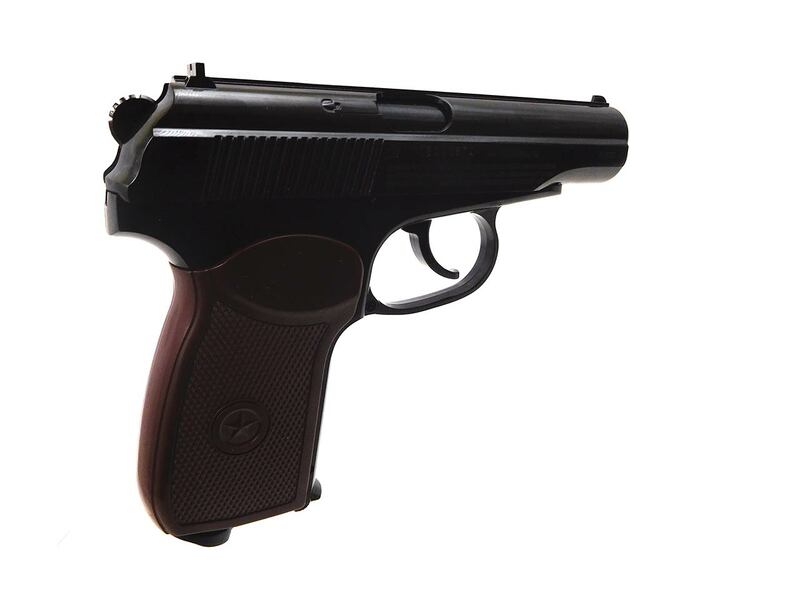 This pistol is in better than 95% original condition aesthetically. Velocity tested at around 380 fps using steel BBs. 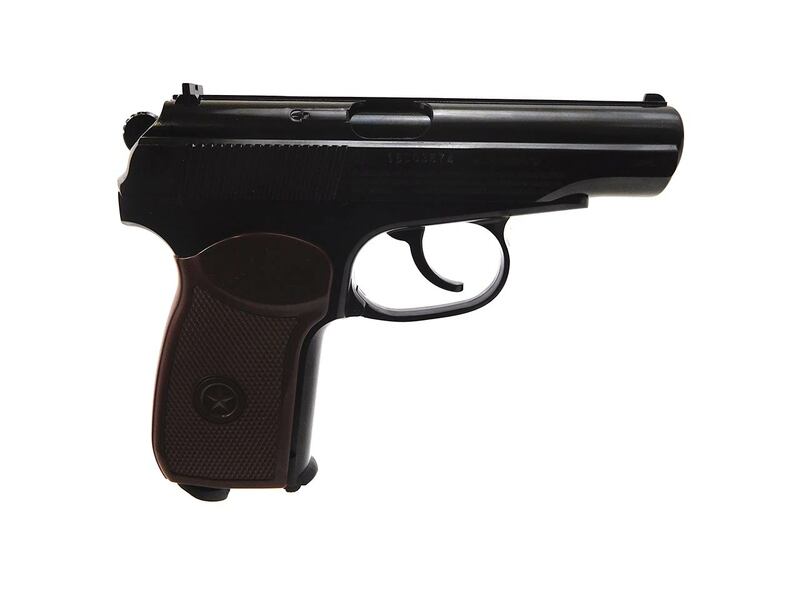 This is a fun little gun to shoot!